This is for an instant e-Gift Card valid for any amount you choose. 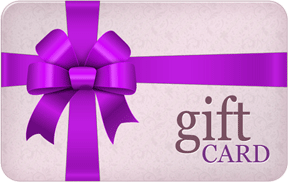 Recipient will receive a gift certificate code via email instantly after placing your order. The benefit of this option is that it allows the recipient to pick a business card design of their choice, while still being a gift from you. Here are some of the most popular uses/ideas for rewarding others with an e-Gift Card. For new Wellness Advocates just getting started with their business. As an incentive or gift for a Wellness Advocate for hitting specific goals. As a prize, drawing, or giveaway at a training event. As a prize or drawing for a team-specific contest. As a birthday gift for a Wellness Advocate. - $36.95 is enough for 250 of our business cards. - $46.95 is enough for 500 of our business cards. - $59.95 is enough for 1,000 of our business cards. - $89.95 is enough for 1,000 of our one-of-a-kind, die-cut bottle business cards.